When you purchase a drum kit from most retailers, they will include kit set-up, or they will offer to do it for you for a small fee. However if you are keen to try it yourself, please see our tutorial link listed at the bottom of this page. It’s important to set up your kit correctly in order for it to work to it’s full capacity and to keep the various parts in good working order. You will need a pair of drumsticks – size 5A or 7A (see below for more information) and a practice pad – both of which are available from your local music store or can be purchased online. There are a huge range of sticks available and it can get confusing for people when confronted with a wall of sticks in the shop. Sticks come in standard sizes and then each manufacturer will have custom sticks in their lines as well. The standard sizes do have a little variation between manufacturers but in general they’re much the same. For a primary school aged student, having smaller hands we’d recommend a 7A size stick. They have a smaller tip, are thinner and a little lighter. They could also use a 5A stick where those dimensions are just a little bigger. We feel anything bigger than a 5A is going to be a bit big. The other variable with sticks is the material the tip is made of. You can get a wood tip, where the tip is just part of the stick. Or a nylon tip, where a plastic tip is attached to the stick. Professionals would always choose a wood tip because they sound better, but for a student a nylon tip might be more durable. Rudiments or sticking patterns form the building blocks of any beginners technique. Rudiments are set patterns between the left and right hands that teach young drummers skills that they can later apply to their drum kit and percussion playing. Four of the most basic rudiments for beginners to start with are single and double stroke rolls, flams and single paradiddles. Practice your rudiments with your drum tutor to build strength, speed and evenness in both hands. 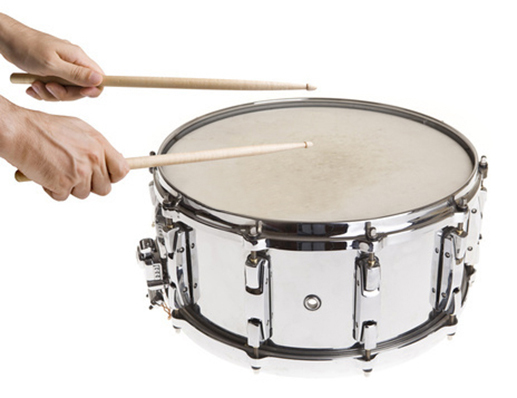 See our videos below for some examples of rudiments. When you first start learning drums, you can practice on a practice pad at home. You will mainly be focusing on your technique and reading music. Once you have been playing for six months, you will need a drum-kit to practice co-ordinating your hands and feet. There is a range of acoustic drum-kits and digital drum-kits that would be suitable. 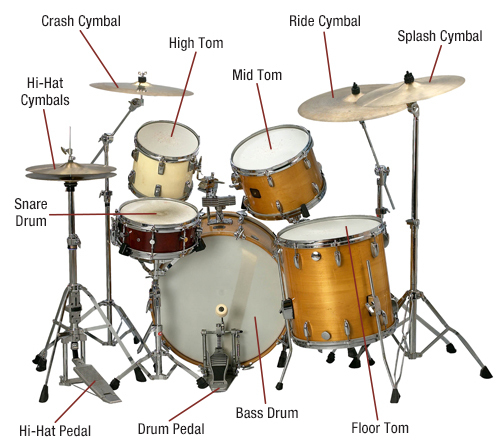 Student drum-kits are usually priced around $500 and are a great next step. Electric drum-kits are a great option if you have a small space or noise restrictions where you live, as they are more compact and can be played with headphones. From Beethoven to Bolero, Led Zeppelin to Nirvana, the drummer commands the stage. There are so many sounds in the world of percussion playing. You might be dinging a triangle or striking a bass drum at the back of an orchestra. Maybe you’ll enjoy the deep sounds of the timpani drums. Or maybe you just want to be a rock star! The drums have it all!